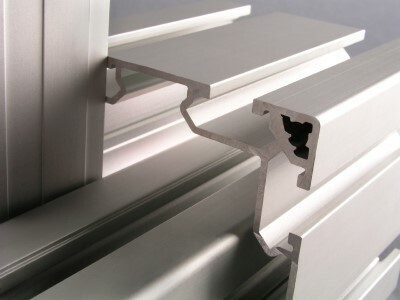 As aluminium anodisers, our process meets all the current and planned legislation. All emissions are externally monitored which ensures a clean environmental approach. We can process any lengths between 10mm & 3400mm in a variety of colours and finishes. Our powder coating system has been designed to enable us to powder coat large quantities of small to medium size aluminium products. The Anodising process is Electro-chemical in which the natural oxide film is created by passing an electric current through dilute Sulphuric Acid with the Aluminium part as the anode. The full process usually involves a chemical pre-clean, followed by immersing the products in a chemical to give the required finish. Phosphoric Acid solutions giving a bright finish and a caustic soda based solution, giving a matt appearance. Anodising also provides a means of colouring the oxidised metal. Anodic films are coloured by a variety of methods. Pigments and organic or inorganic dyes are dissolved in heated water and the products immersed prior to sealing while they are still porous. The colour is then sealed in place by the usual method. The more durable coloured films necessary in exposed environments can be produced as part of the anodic layer and are quite permanent.